After spending a fair amount of time with Lovers in a Dangerous Spacetime at PAX East 2014, and speaking with two thirds of the Asteroid Base team, I found myself excited to spend more time with the frantic cooperative platformer/shoot-’em-up. However, event though all indications were that this was a title that had the potential to be outstanding, I found myself slightly concerned. 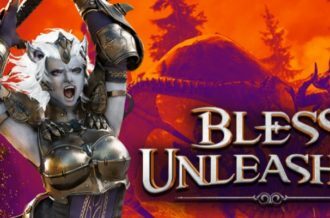 There was absolutely no reason to be worried about any of the mechanics or concepts, but I wondered whether or not my experience was simply a flash-in-the-pan. Would Lovers in a Dangerous Spacetime be as exciting the second time around, or would it be a moment of joy lost in the shuffle of a sea of wonderful games? Not only was Lovers in a Dangerous Spacetime as thrilling as it was the first time around, but some new gameplay variations showed just how strong it truly is. Players take the role of one of two small robots tasked with running and jumping around a circular ship, setting up shop at various computer terminals. 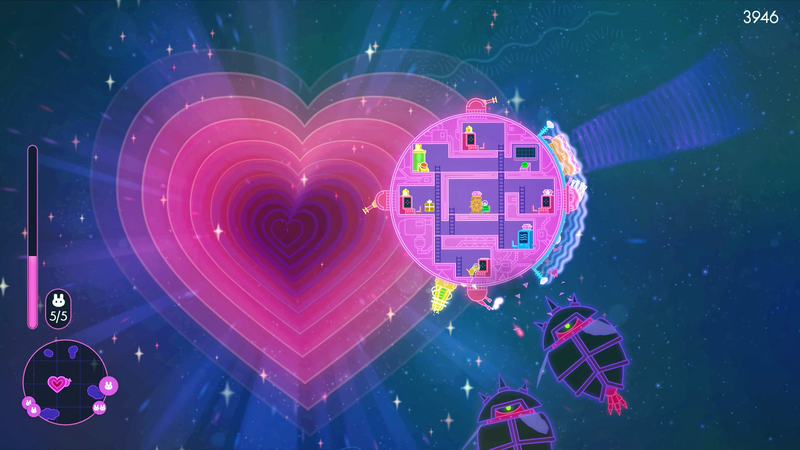 Lovers in a Dangerous Spacetime is definitely a platformer when one considers what he or she is doing on a moment-to-moment basis, but it’s gameplay comes with a considerable twist. 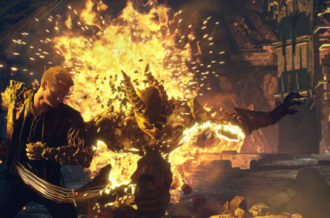 Even though players are constantly running and jumping, advancement comes through shooting various enemies and asteroids, all while saving cute creatures. 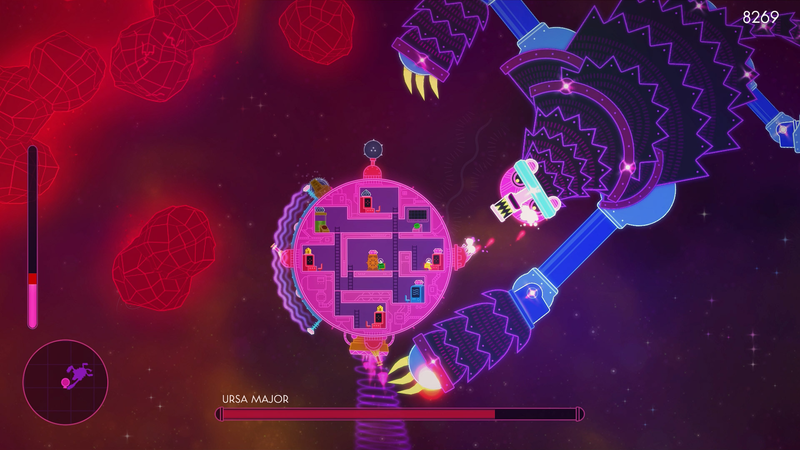 That’s right, Lovers in a Dangerous Spacetime is both a platformer and a shoot-’em-up. Every terminal inside the massive ship serves a distinct purpose. The central wheel spins the engine around the circumference of the spacecraft, propelling the ship in the opposite direction of the thruster. 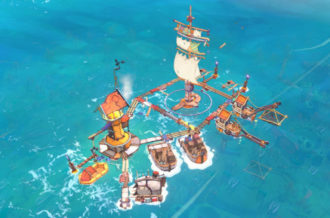 One of the central terminals brings up a map, allowing players to see where the various StarFox-inspired animals are being held captive. There are computers that control various weapons, a massive shield, special weapons, and more. 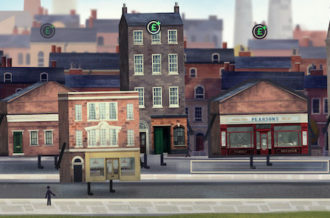 Each of these terminals can be upgraded by collecting various presents and gems, all of which are scattered throughout the environment. It’s truly mesmerizing to see everythin working in action. Every time I walked through the Indie Megabooth, I noticed people gathered around Asteroid Base’s screens wondering what the hell was going on. Players were yelling at each other, attempting to direct each other to terminals that don’t have clear nomenclature. “Go over to the blocky thing!” “Hey I’ll get on the wheel, you do the lasers!” “Spinny blades, now!” Every moment spent in Lovers in a Dangerous Spacetime is incredibly hysterical and deeply strategic. It’s cooperative gameplay at its very pinnacle. During my demo, I had the chance to experience some of the content that Asteroid Base has added since the conclusion of PAX East 2014. Instead of each player being able to access whatever terminal he or she chooses, certain modes disable access to either side of the ship. 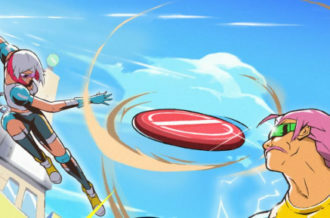 This simple tweak forces players to communicate at an even higher level, as certain tools (namely the shield and special weapon) are only available to a given player. In a game based upon communication, teamwork, and finesse, this minor alteration finds a way to make the gameplay even more exciting. Each boss is a colorful take on a given constellation, with Ursa Major and the serpent-esque Cetus present in the demo. The route to Cetus begun with a section in which the ship spun around in circles due to a current; thankfully, this was simply a visual effect, as the controls never did any bizarre inverting. 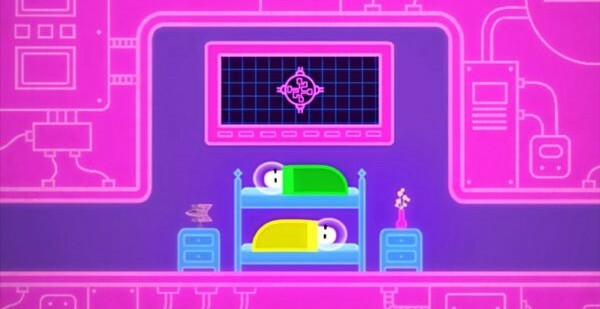 The insane art-design and color scheme of Lovers in a Dangerous Spacetime makes this section hard not to smile at; it’s pure joy in video game form. When players finally reach Cetus, they’re met with an incredibly challenging fight that forces the utilization of every part of the spacecraft. Cetus only has certain damagable segments, meaning that timing is incredibly important. Sure, Lovers in a Dangerous Spacetime lacks the insane platforming challenges seen all over the genrr, but being able to maneuver from terminal to terminal requires a high level of finesse, nonetheless. There’s no doubt that, when it’s released, Lovers in a Dangerous Spacetime will be one of the highlights of the soon-to-be-great ID@Xbox program. By combining platforming elements, shoot-’em-up concepts, and communication-based cooperative gameplay, Asteroid Base appears to have a genuine winner on their hands. 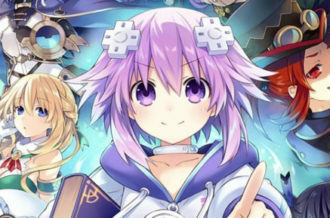 This is a title that has the potential to win over the hearts of gamers looking for a strategic experience and those simply looking for a fun time. 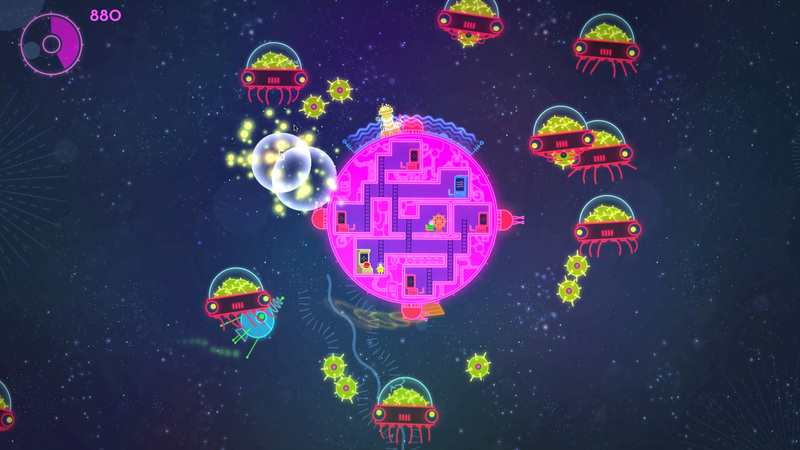 Lovers in a Dangerous Spacetime is captivating enough to capture multiplayer haters and entire parties alike. Perhaps what’s most staggering is that one of the best multiplayer experiences of PAX Prime 2014 was made by a three man team, a testament to the level of talent and creativity at Asteroid Base.